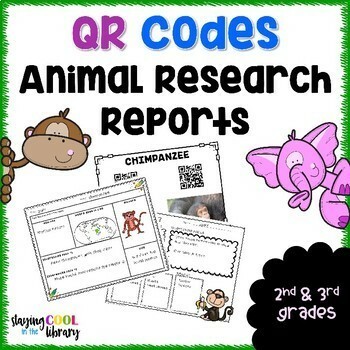 Your students will love practicing their research skills with these fun and exciting animal research reports! 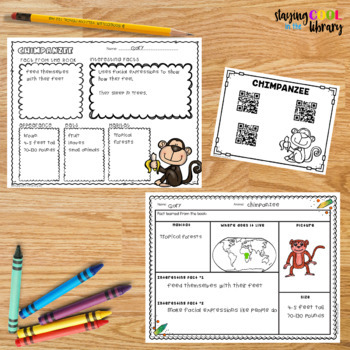 They are perfect for second and third grade and are a great way to incorporate technology into your lessons. 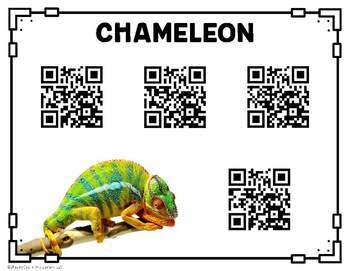 10 QR code pages (one for each animal). There is a color and a black and white version. Each page has 3 or 4 websites that provide basic information about each animal. Students can use their device to scan the code and go to the website. They can use the camera in the Chromebook or a QR code reader app. 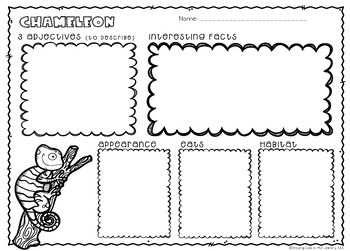 3 different pages for students to record their notes. 2 research templates (one page for each animal). One set has a question for students to write in the fact they learned about the animal from the book. The second set has a different option for students to write 3 adjectives describing the animal. This way you can use these pages without the book. A list of all the websites that I used to create the QR codes. I have looked at each website thoroughly. I believe they are appropriate for elementary students. They are from National Geographic Kids, San Diego Zoo, Ducksters, DK Find Out, Animal Fact Guide and Science Kids. If you find a link that is broken please contact me immediately so I can fix it.